Our specialist lawyers advise companies and individuals within regulated financial sectors, in particular, financial conduct Authority (FCA) and Prudential Regulation Authority (PRA). Our in-depth understanding of the regulatory environment means that we recognise the rules under which regulated ventures operate. We can, therefore, clarify complex, and often obscure, regulation applying to businesses and individuals working in this sector. We have successfully recovered millions of pounds for investors caught up in investment scams, failed tax schemes and high profile fund collapses. We often act for large groups of investors, who individually may feel powerless, but together we act to lobby parliament and to take on large institutions and achieve a result which otherwise would not be possible for one individual acting alone. Our team has particular experience in advancing claims through the Financial Ombudsman Service (FOS) and Financial Services Compensation Scheme (FSCS). We are the only specialist firm with experience of enforcing FOS decisions through the Courts. Unlike many commercial firms, we do not act for banks, insurers or other large institutions. This allows us to represent clients with disputes against well known high street banks. We act solely on our clients’ behalf with transparency and without the restraints caused by conflicts of interest. Our lawyers have both national and international reputation being recommended in both Chambers and Legal 500 as ‘Leading Individuals’ and are frequently quoted in the press including the Financial Times, the Mail on Sunday, FT Adviser, Citywire, Moneymarketing and IFA Online. Chambers & Partners note the firm’s “pragmatic, practical and efficient approach” and “determined litigators with a very good sector knowledge” Legal 500 notes “FS Legal is a firm that punches well above its weight and is particularly strong in the areas of financial services, pensions and tax schemes” adding that the team has “a deservedly good reputation for providing a top-quality, commercial service“. 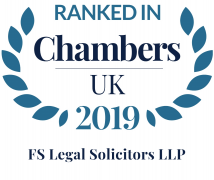 To view the Firm’s Commercial Litigation Directory Rankings please click here for Chambers & Partners and click here for Legal 500. We understand that, whether it’s a personal or business matter, funding is a key concern. We have a variety of funding options available to seek to remove the risk and cost from our clients. Unlike most firms, we are able to operate around 90% of our cases on a contingent basis. Because professional negligence cases are intricate and require specialist knowledge, we offer a free, no obligation, and confidential advice service to all our new clients.